Of all the treatments for fibromyalgia (FMS) and chronic fatigue syndrome (ME/CFS), antidepressants may be the hardest for people to understand. It's common for people to be confused about why these medications are prescribed for conditions other than depression. However, a growing body of evidence shows that antidepressants are effective treatments for FMS, and to a lesser degree, ME/CFS. Antidepressants change the way certain neurotransmitters work in your brain, and the same neurotransmitters are involved in FMS, ME/CFS, and major depressive disorder. Serotonin and norepinephrine are both neurotransmitters—chemicals in the brain that transmit messages from one neuron (brain cell) to another. Each deals with multiple functions. Serotonin's functions include pain processing and the wakeful part of the sleep cycle. Your brain uses serotonin to create melatonin, which helps you get to sleep. Norepinephrine is involved with the body's stress response, alertness, and memory. Your brain uses norepinephrine to create the neurotransmitter dopamine which deals with mental focus, motivation, and coordination. Abnormalities in serotonin and norepinephrine are believed to be related to some cases of FMS and ME/CFS. SSRIs/SNRIs make more of them available by slowing down reuptake, which is when they're absorbed after use so they can be recycled. SSRIs, SNRIs, and other medications that increase serotonin can lead to a potentially deadly condition called serotonin syndrome. The risk increases when you take more than one serotonin-increasing substance, which can include prescription medications, recreational drugs, and even certain supplements. To lower your risk of serotonin syndrome, it's important for you to tell your doctor and pharmacist about everything you're taking. 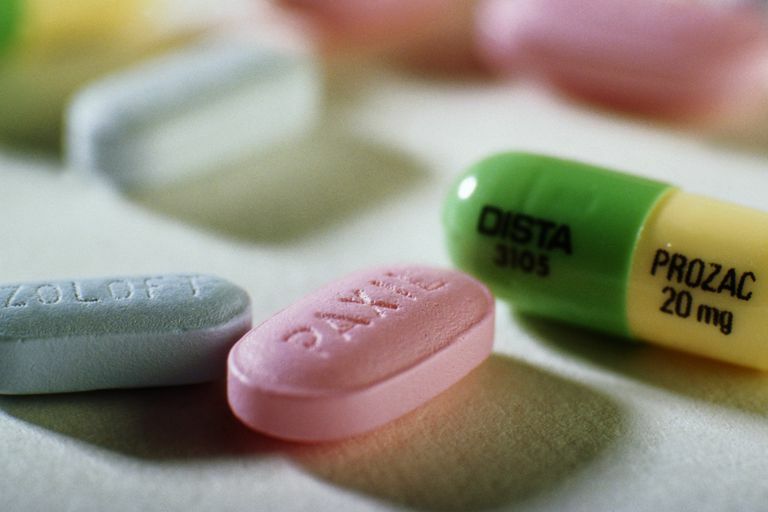 SSRIs, SNRIs, and all other antidepressants are mandated by the FDA to carry a black-box warning–-the agency's most serious alert–-about an increased risk of suicide or suicidal thoughts and behaviors. It's important for anyone taking these drugs to be aware of the risk, and it's also important for friends and family members to know about it. They may be the ones who spot the warning signs. If you find yourself having suicidal thoughts, get help right away. From anywhere in the United States, you can call 1-800-273-8255. That's a VA hotline, but anyone is welcome to call. You should also talk to your doctor about these thoughts and whether you should stop taking the medication. Going off of SSRIs/SNRIs carries its own risks. Stopping too quickly can cause what's called discontinuation syndrome, so you should talk to your doctor about the correct way to gradually wean yourself off of the drug. Discontinuation symptoms can range from minor to debilitating. Because many of these symptoms are also common in FMS and ME/CFS, you could mistake them for symptoms of your illness that are increasing as you wean off of the medication. Contact your doctor if you have any concerns. These drugs come with a long list of potential side effects. Some of the more dangerous ones include seizure, hallucination and out-of-control actions. SSRIs/SNRIs can interact negatively with drugs other than those that increase serotonin. These may include anti-inflammatories (NSAIDs), blood thinners, and several others. Side effects and interactions vary by drug. To check on specific drugs, you can look them up at Drugs.com or RxList.com. They're also generally available in packaging information. The best way for you to reduce the risks associated with SSRIs/SNRIs is to carefully follow your doctor's and pharmacist's instructions for both dosage and weaning. In case of emergency, you may also want to keep a list of your medications in your wallet. It can help to print out lists of possible side effects and keep them somewhere visible, especially when you start a new medication. That way, you'll be able to quickly see whether new symptoms you're experiencing may be tied to the drug. Are SSRIs/SNRIs Right for You? The decision to take SSRIs or SNRIs is best made by you and your doctor while considering your diagnoses, symptoms, overall health, and lifestyle factors. You may need to try several drugs in this class before you find one that works well for you and that you can tolerate. This can take a lot of time. Be sure to keep the lines of communication with your doctor open during this process. Arnold LM, et al. The Clinical Journal of Pain. 2009 Jul-Aug;25(6):461-8. Comparisons of the Efficacy and Safety of Duloxetine for the Treatment of Fibromyalgia in Patients With Versus Without Major Depressive Disorder. Choy EH, et al. Clinical Rheumatology. 2009 Sep;28(9):1035-44. Safety and Tolerability of Duloxetine in the Treatment of Patients With Fibromyalgia: Pooled Analysis of Data From Five Clinical Trials. Derry S, et al. Cochrane Database of Systematic Reviews. 2012 Mar 14;3:CD008244. Milnacipran for Neuropathic Pain and Fibromyalgia in Adults. Nishiyori M, et al. Molecular pain. 2011 Sep 21;7:69. Permanent Relief From Intermittent Cold Stress-induced Fibromyalgia-like Abnormal Pain by Repeated Intrathecal Administration of Antidepressants. Saxe PA, et al. Current Medical Research and Opinion. 2012 Mar 19. Short-Term (2-Week) Effects of Discontinuing Milnacipran in Patients With Fibromyalgia. U.S. Food and Drug Administration. "Living with Fibromyalgia" Accessed March 2012. Warner, Christopher H, et al. American Family Physician. 2006 Aug 1;74(3):449-56. Antidepressant Discontinuation Syndrome.